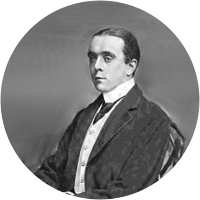 A collection of the best Sir Max Beerbohm quotations. To make oneself beautiful is an universal instinct. Vulgarity has its uses. Vulgarity often cuts ice which refinement scrapes at vainly. People seem to think there is something inherently noble and virtuous in the desire to go for a walk. Improvisation is the essence of good talk. Heaven defend us from the talker who doles out things prepared for us! It seems to be a law of nature that no man, unless he has some obvious physical deformity, ever is loathe to sit for his portrait. I have known no one of genius who had not to pay, in some affliction or defect either physical or spiritual, for what the gods had given him. By its very looseness, by its way of evoking rather than defining, suggesting rather than saying, English is a magnificent vehicle for emotional poetry.